News hit the restaurant industry in March that 16-year-old Scott Johnson’s parents were taking legal action after their son died last summer. A fatal allergic reaction from eating pancakes at a Minnesota restaurant caused the boy’s death. His family says they were told the food was dairy-free. Few would argue that chefs and restaurant operators neglect to take diners’ allergies to heart. Legally, the issue is more gray. That’s because 48 of the 50 states don’t require restaurant workers to have allergen training. But that may be starting to change. Rhode Island and Massachusetts are the states that already require foodservice operators to provide food-allergen training for their workers. Earlier this year, Virginia lawmakers introduced a bill that would require the same. The legislation, which passed the state’s Senate and House of Delegates, now is on the governor’s desk. While some critics have said the bill is too much government, and restaurants should be able to train employees as they see fit, its author, delegate Mark Keam, says it’s a way to avoid unintentional ignorance. He worked with Virginia’s Department of Health (the agency that would enforce the legislation) and the state’s restaurant association to ensure the proposal covers the necessary people—those who could potentially handle food—without being too broad. “When this bill goes into full effect, Virginians who suffer from food allergies can be comforted knowing that every restaurant in the Commonwealth will have staff knowledgeable about food-safety issues,” Keam said at the bill’s introduction. And that translates to more traffic. 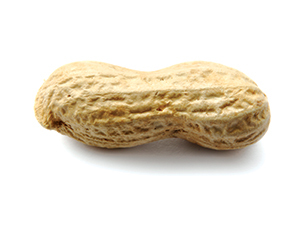 After all, it was this stat from the National Restaurant Association that inspired it: There are nearly 6 million children in the U.S. with food allergies, many of whom are not eating out. Assurances could mean more dollars in operators’ pockets.